Home Article News Quality Software Testing Terminologies Testing Stories Thinking Tester "Stress Test" now or get "Stressed" later! 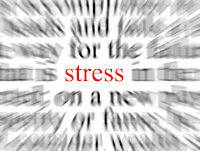 "Stress Test" now or get "Stressed" later! Yesterday I was watching NDTV news and I came across this story! "Nokia has announced that 46 million batteries used in its phones could overheat and result in explosion. Nokia has said it would replace them free to consumers while negotiating with battery maker Matsushita who would bear the costs. And this announcement came after approximately 100 incidents of over heating explosions reported globally." However, Nokia has issued a product advisory for its consumers to enable them to avail the free battery replacement in case of a defective battery. And how is it going to cost Nokia? The battery replacement might cost the giant cell phone manufacturer at a maximum of 100 million euros ($137 million) - according to Analyst Richard Windsor of Nomura International. Shares in Nokia were already 0.9 percent lower at 22.42 euros by 6:46 a.m. EDT yesterday, helping nudge the DJ European technology index down 0.5 percent! This reminded me of Sony's battery disaster last year, when Sony Corp. was hit by hefty costs to recall 9.6 million laptop PC batteries which could catch fire from overheating! Having watched the news, the question that kept bouncing in my mind was - "Could this situation have been avoided?" These are kinds of disasters that no company would ever want to happen with them. When, leave alone the financial impact, the credibility of the company is risked of being badly hurt. After a considerable amount of thought, I got a feeling that with proper stress testing, this situation actually might have been avoided. To those, who are new to the concept of "Stress Testing", here is a definition from Wikipedia. In this case, the battery explosion is said to be caused due to overheating initiated by a short circuit while charging! I believe that this scenario could have been easily stress tested by letting the cell phone on charging for a considerable amount of time and initiating a short circuit artificially. Sounds straight and simple. Isn't it? But how could Nokia choose to ignore such a vital and important test while using the Matsushita battery for the first time with it's own wide range of models! How many times we have seen when a lapse in testing effort had made a company to come to its knees. And this is just yet another example of such incident. If Nokia had tested this earlier, today this situation could have been easily avoided! It's up to you to decide. Whether to "Stress Test" your product before release or to take risk of getting yourself stressed afterwards due to mishaps like this. Or you can do as Microsoft does and release the software BEFORE its time, using the thousands of us software engineers to detect the bugs and report them. Their philosophy is, "We only need to fix the bugs on paths that people use. Why waste time with regression testing, when our customers will do it for us? With a captive customer base, we've got it made." Or, use IBM's example. Never be first to market with anything. Watch carefully as Eagle, Atari and other PC developers go down in flames and learn from their mistakes. Then put out your own PC, avoiding those mistakes and claim the world for your oyster. Thanks for liking my blog and leaving behind your interesting views. Keep visiting and keep commenting. :) Thanks. As a matter of fact, a TESTER should love to STRESS TEST and know the real limits and have fun breaking the limits. Alice's comments are also worth noting. I wonder how a company like Nokia ignorant of Stress Testing.Irony is here Matsushita informed Nokia about defects. Otherwise...? I think, that it is important to stress test not only before release, but even ofter it. Example: you develop web-application. I've done all functional and even performance tests in your test-lab. Now you deploy product in "outer space". How are you going to control its performance? I think that its necessary to do it from time to time, using, for example, cloud services or any other appropriate tool.